Determining whether to initiate a market withdrawal or recall procedure depends on the situation and unfortunately, is not always a clear-cut decision. Whether due to a lack of insights into the intricacies of recall management nuances o r because you simply cannot please everyone all the time, even using the best judgment can still cause upset. Take, for example, the 2013 Chobani yogurt incident: Let’s look at some of the facts surrounding the case. On August 31, 2013, Chobani initiated a market withdrawal of yogurt due to “quality concerns surrounding certain products, which were experiencing swelling or bloating.” On September 3, the company stated that the issue was caused by a type of mold “commonly found in the dairy environment”. Although the mold (Mucor circ inelloides) was not considered to be a disease-causing foodborne microorganism and “should not pose a health risk to most consumers” (according to Chobani’s blog), the company moved from a voluntary market withd rawal of the product to a voluntary recall on September 5. So, when should you initiate a market withdrawal and when might does it need to be elevated it to a voluntary recall (and if so, at what recall class)? In addition, at what point does FDA escalate it to a mandatory recall? Or, when should you voluntarily inform FDA yourself? Chobani’s issue was not an isolated case. 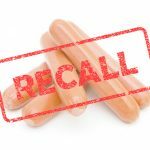 There are several theories about why its recall received so much negative publicity. Was the company slow to initially respond? Could it have stayed on top of social media monitoring more proactively? Did it take too long to determine the need to elevate from a market withdrawal to a recall? Some would say yes. Others would say the company made the best decision it could with the facts it had at the time it had to make the decision. Whatever the reason—understanding the nuances between market withdrawals and recalls will help. Since each case will be unique, there isn’t a hard-and-fast answer without discussing the particulars of each situation, but we can provide you with more information about withdrawals and recalls – so that your first reaction and call are, if nothing else, at least a bit less frantic. • Market withdrawal: When a product has a minor violation that would not be subject to FDA legal action. The company removes the product from the market or corrects the violation. • Recalls: Actions taken by a firm to remove a product from the market. 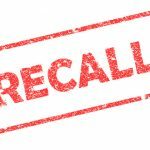 Recalls may be conducted on a firm’s own initiative, by FDA request, or by FDA order under statutory authority. Class I: There is a reasonable probability that the use of or exposure to a violative product will cause serious adverse health consequences or death. Class II: Use of or exposure to a violative product may cause temporary or medically reversible adverse health consequences, or the probability of serious adverse health consequences is remote. Class III: Use of or exposure to a violative product is not likely to cause adverse health consequences. In the Chobani case, an initial assessment showed that “common mold” was a quality issue that did not violate food safety regulations or require a recall, so the company initiated a market withdrawal. However, as more people who consumed the yogurt allegedly became ill, the incident was escalated (although no confirmed link was established) and was eventually classified by FDA as a Class II recall. Your company needs to ask this type of question when a product is found to be defective in any way. Not only which of the above definitions does it fit at this time, but also whether it is likely that the consequences could be more severe. Using Chobani as the example, perhaps the fact that containers were bulging and exploding would indicate that there was a component in the product that could potentially make people sick? You need to constantly reassess the situation and consider if a status or actions must change. Additionally, you need to consider your brand reputation. No one really wants to go to the regulators and fess up to a mistake that may not become an issue. But, it’s kind of like telling Mom you accidentally spilled your red Kool-Aid on the carpet before she sees it. If immediately targeted, that stain just may come out – and she may even consider your scrubbing of the carpet and promise to NEVER again take red Kool-Aid into the living room as “corrective action” enough. But if it sits for a day and she finds it herself while you remain quiet, it could be permanent, her trust in you soiled, and the punishment more severe than if you would have just told her in the first place. When in doubt, if you address the potential “stain” on your product and brand head on, admit to your error, be upfront about the cause – and what you are doing to correct it – to both FDA and your customers, FDA is likely to work with you on your situation, and your customers will forgive you and continue to buy your product once they know the issue has been corrected. Understanding the differences between market withdrawals and recalls will be key to possibly avoiding a “spill” in the first place. 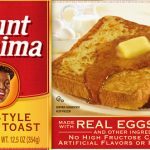 The company has broadened its recall to include flour produced last fall. Dr. Peyman Fatemi is the Vice President of Scientific Affairs with The Acheson Group with nearly 20 years of experience in food processing and food safety research within multiple food and beverage categories. 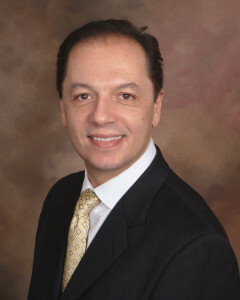 Peyman earned his PhD from The Pennsylvania State University in Food Science and Technology. He received his MS also in Food Science and Technology and his BS in Microbiology from the University of Georgia. As a USDA fellow at Penn State, he studied the factors that influence the interaction between the foodborne pathogens and that of the food and food processing surfaces. His work has been published and presented within several international food safety organizations. Please can I get Dr. Peyman’s email address or link where I can communicate to him? Can withdrawal be referred as return? when it comes to a pharmaceutical industry, we use a terminology called return (handling returned pharmaceutical Product), so, is it correct to use so or is there any difference between return and withdrawal?